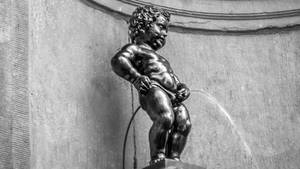 The Manneken Pis, this Brussels statue so well known throughout the world, holds many surprises for us. and the main one is about size, because most people discovering it for the first time do the same thinking: "Oh, he's small!" And yes, this statue measures only 55.5 cm, not even two A4 sheets placed one above the other. It seems even larger because it is placed at the top of a stone structure, the set sheltered behind a set of protection whose top is shaped like a scallop shell. As the bottom of the wall is simple, the statue stands out. Its weight of 17 Kg, which is light enough for bronze. It must be said that it is hollow. The Manneken Pis cost at the time the sum of 50 florins of the Rhine. The florin was the monetary unit of Europe from the thirteenth to the fifteenth century. It was replaced by national currencies at the time of the creation of nations. The Netherlands used the guilder as the national currency until the appearance of the euro. 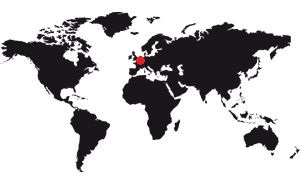 More specifically, the Rhine florin or Rhine florin was in use mainly in Northern Europe.